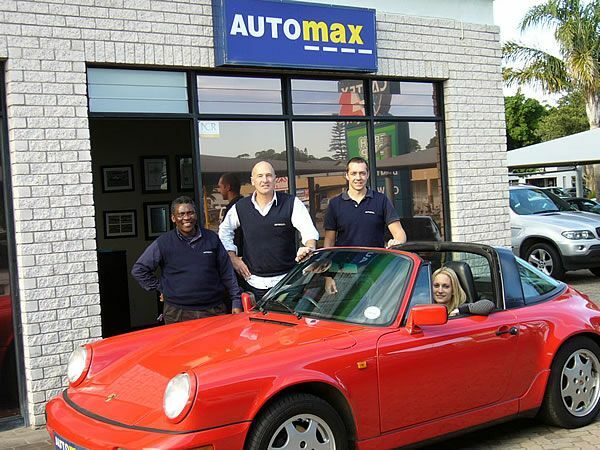 AUTOmax Used Car Dealer, located on the corner of Main Road and Eighth Avenue Walmer, is one of Port Elizabeth's leading used car dealerships, offering quality used vehicles at competitive prices. Owner Rolf Kickhofel has established a used car business with a difference. Walmer is a safe, suburban environment, and as such, our location is perfectly suited to customers hoping to browse for a vehicle at their leisure. Having been in the motor industry for more than ten years including stints with BMW in Germany and the United Kingdom, as well as having learnt the trade from his father who founded & managed the BMW dealership Continental Cars (PE) for 35 years, Rolf has brought invaluable motor retail experience to AUTOmax. We believe that by focusing on customer service and quality, we are able to present an original alternative to the age-old business of used car sales. To this end, all used vehicles which require maintenance or refurbishment prior to being exhibited on the AUTOmax lot, are serviced and checked by AUTOmax's auto/service repair affiliates. By doing this, we are proud to be a dealer that provides quality used cars. We firmly believe that our customers should receive personal attention when it comes to their vehicle purchases. Being a small dealership allows us to provide friendly and efficient service, whether it be agreeing to sale terms or answering questions. Vehicles from across the spectrum - ranging from "run abouts" to competitively-priced luxury vehicles - are offered. All vehicles are sold with an option of a two-year warranty, regardless of the mileage already accumulated. Terms of sale are also approved by all major banks.